BlogHome » Which Posture Are You ? Newcastle chiropractor focuses on posture self-help. Identifying your posture and understanding it is the first step to making lasting changes. 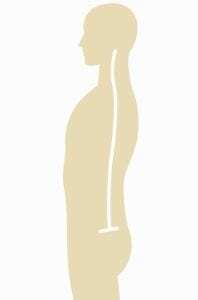 Your posture is a visual picture of your daily habits. Activities like repetitive iPad & device usage, accumulation of falls, sitting for long periods, sleeping awkwardly, slouched shoulders, and forward head positions all force your very intelligent body to adapt. This results in a change to the normal curves of the spine, reducing movement and contributing to increased pressure on the muscles, nerves and joints. 90% of the stimulation and nutrition to our brains comes from the movement of our spines. Unhealthy posture will create imbalances in your body leading to wear and tear. A change to the curves of the spine will also affect your nervous system, the communication highway between the brain and the body. Correct postural aligned is important for normal growth and development in children. 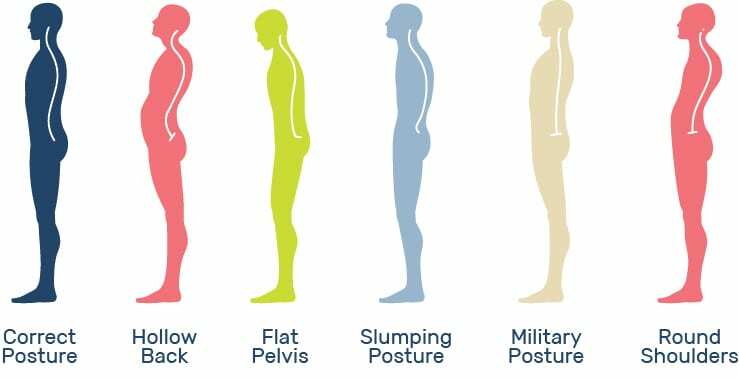 If you cant identify your posture have a friend take a photo. We have provided some thoughts below on how to start improving your posture. Increased low back curve ( hyper-lordosis), Tight psoas muscle and erector muscles. Pelvis will tilt forward and hamstrings are often tight. Commonly observed in dancers, pregnant women and gymnasts. Tips: Yoga poses; cat pose ( arching lower back), child pose, lunge pose. Use chair squat exercises to strengthen gluteus maximus. Pelvis is tucked inwards leaving your low back very straight. Standing for long periods will often be uncomfortable. Sitting will aggravated this type of posture. Tips: Look towards back extension and chest exercise for improvements. The head is forward of the shoulders putting extra strain on the neck region. Often associated with computer or device usage. Sitting for long periods will lead to this posture. Tips: stretching the pec muscles at the front of the chest and activating the rhomboid muscles at the back. Focusing on chin tuck exercises will also help improve the neck position. The shoulders are rounded forwards, resulting in an excessive upper back curve ( increased kyphosis). The pec muscles are tight, back muscles such as the rhomboids are weak and poorly controlled. Common in office workers, larger breasted women and tall people. Growth and development issue during adolescence can result in an increased kyphosis. Tips: The cat/cow pose with yoga will be helpful. When you are told to “stand up straight” this is often the posture which people assume. Muscles fatigue very quickly in this adopted posture and cannot be held for long. The chest is elevated, the pelvis is tilted forwards. 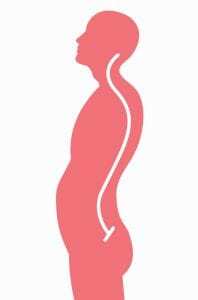 The low back and hip flexor muscles are shortened with an increased lumbar curve. 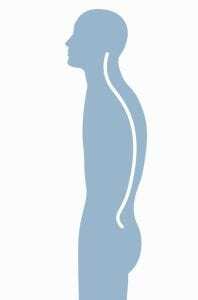 How can chiropractic help posture ? 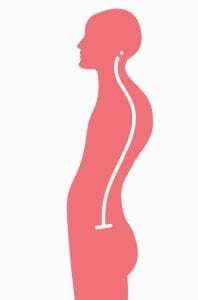 Once your body has learnt an unhealthy posture, this pattern will restrict or limit the movement of the spine joints. This restricted movement can make self-correction a little more difficult or even uncomfortable as the spine joints are not capable of a normal range of motion. This is where we can assist, our approach is to restore the correct movement to the spine joints to allow re-alignment of the spine and nervous system. 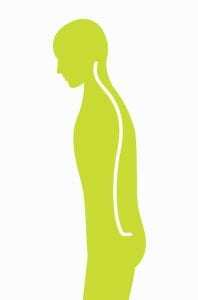 Once the spine and surrounding muscles are capable of normal movement we implement stretching and exercise techniques to strengthen and stabalise your posture.